Thomas Chalmers, one of Scotland’s most famous sons, was born in Anstruther on the 17 March 1780. His parents resided in the 16th century house, now known as Chalmers’ Birthplace in Old Post Office Close. He was the sixth child of a family of fourteen. An exceptionally gifted young boy, he went to St Andrews University at the age of twelve. His father John was a respected merchant and provost of Anstruther. His mother was Elizabeth Hall, daughter of a Crail wine merchant. 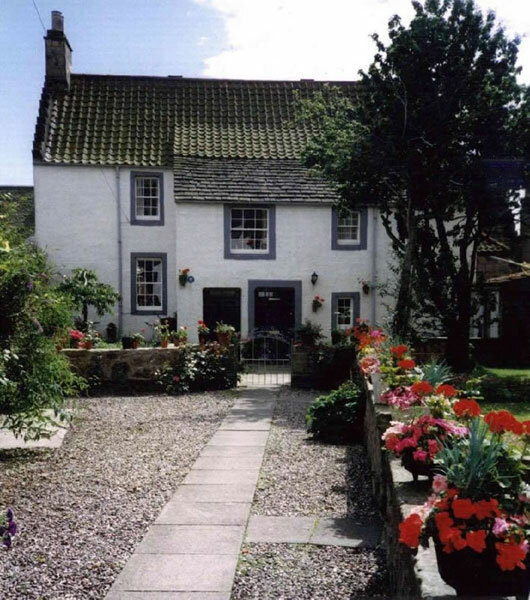 Later the family moved to another house in Anstruther, known as Chalmers’ House. Thomas was remembered by his peers as a likeable, kind-hearted boy. Little did his parents think that two hundred years after his birth he would have gained worldwide recognition and that visitors from America, Canada, Australia, New Zealand and many other countries would visit Anstruther every year to see his home. At University, he began to distinguish himself as a mathematician under the tutorship of Dr James Brown, who recognised his genius. He became known as Mr Chalmers the mathematician. However, at fifteen years of age he began training for the ministry and was licensed to preach at the exceptionally early age of nineteen. After further studies at Edinburgh University, he was ordained minister of Kilmany where he remained for twelve years. It was here he gained his reputation as a preacher and Kilmany church and manse “became the centre of a mighty spiritual influence”. In 1815, he was appointed by Glasgow Town Council to the Tron Church where his fame as a preacher was established nationally – “a fame never surpassed in the annals of preaching”. The Tron was so full to capacity every Sunday, including many who had traveled from all over Scotland. In 1817 he was invited to London, where again he attracted large crowds and won the admiration and support of many famous clergy, authors and statesmen. William Wilberforce became a close friend and wrote “all the world has gone wild about Chalmers”. It was while he was in Glasgow that Chalmers embarked on a massive project of social reform involving his parish in the relief of poverty and providing “a superior education for some seven hundred poor local children”. He became Professor of Moral Philosophy at St Andrews in 1824 and in 1828 accepted the chair of Theology at Edinburgh. Here he pursued with intense energy lecturing, preaching and writing (some thirty works). However, his greatest challenge still lay ahead. He now took a leading role in the dramatic events leading to the Disruption in 1843 – one of the most momentous and far-reaching events in Scottish history. After the Disruption, he toiled with unrelenting zeal as first Moderator of the Free Church of Scotland, and as Principal of Divinity at New College, Edinburgh. Just four years after the Disruption on 31 May 1847, at the time of the General Assembly, Dr Chalmers “suddenly and unexpectedly slipped peacefully away”. His funeral was described as the largest ever seen in Edinburgh with thousands lining the streets as the cortege wound its way to Grange Cemetery. Thomas Chalmers was buried “amid the tears of a nation and more than kingly honours”. So ended the life of Anstruther’s most illustrious son.